The ultimate luxury rejuvenating serum with Platinum, Bee Venom & Matrixyl®3000. Imparts instant & continuous replenishing hydration Helps diminish the look of lines & wrinkles. Platinum Bee Venom Serum The ultimate luxury in anti ageing. A silky skin perfecting concentrate serum to redensify, rejuvenate and revitalize the skin. 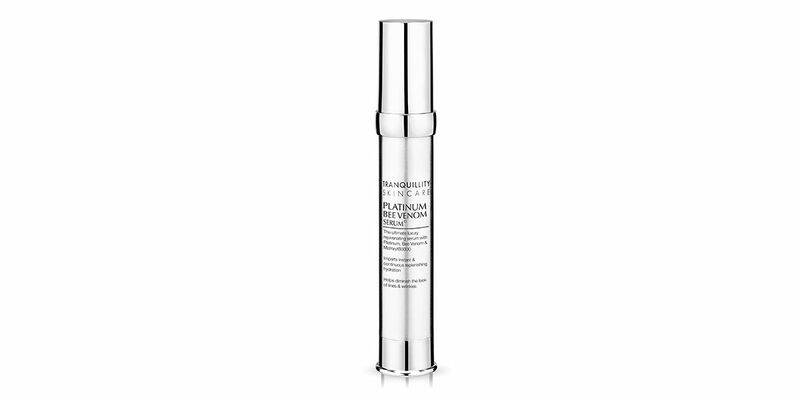 Contains precious Platinum the premium and ultra-luxury high performance anti-wrinkle peptide, Bee venom and Matrixyl®3000 that work in synergy to help minimise the look of fine lines and wrinkles keeping the skin looking younger and healthy. Vitamin C brightens skin and evens skin tone. A triple hydration concept active ensures the skin is instantly and continuously replenished, refreshed and hydrated. Free Sample of Platinum Bee Venom Serum of purchase of £30 or over. as one of the top ten anti wrinkle and wonder creams that really work. 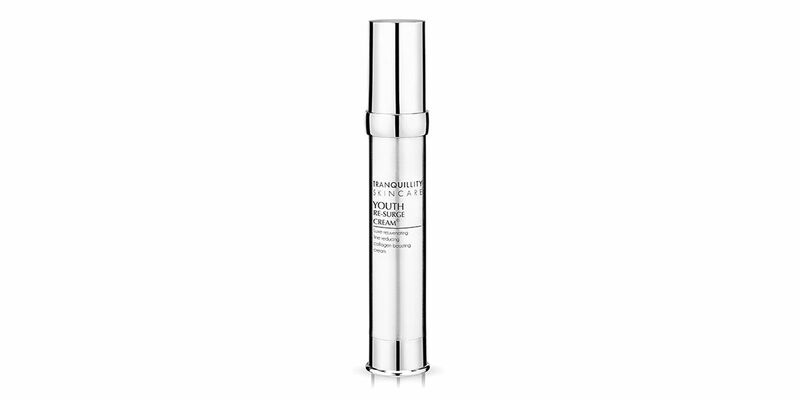 Containing Matrixyl 3000 - the magic ingredient Youth Re-Surge is is an ultimate maximum performance anti ageing moisturizer super rich in de-aging peptides, anti wrinkle botanicals and anti oxidants significantly addressing aging tell tale signs of lines, wrinkles and loss of elasticity. "If you spent your youth worshipping the sun - and now regret it, try Tranquillity Skincare's Pure Gold Anti Wrinkle Night Cream. Using Matrixyl to repair past damage, reduce wrinkles and prevent further signs of ageing, this is a great all rounder for mature skin."